Leo Chiang--a lecturer in the Social Documentation M.F.A. Program at UC Santa Cruz—has been nominated for an Emmy Award for his documentary film, A Village Called Versailles. On Monday, September 26, the 32nd Annual News and Documentary Emmy Award winners will be announced by the National Academy of Television Arts & Sciences at a ceremony in the Time Warner Center in New York City. 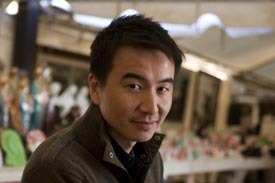 Chiang’s film--which aired on PBS--will compete in the “Outstanding Continuing Coverage of a News Story–Long Form” category. 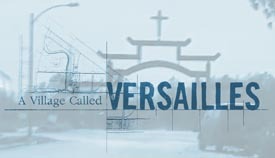 A Village Called Versailles is about a small, tight-knit Vietnamese community in the aftermath of Hurricane Katrina. After the destructive storm devastated New Orleans in 2005, the people of Versailles swiftly rebuilt their neighborhood--only to find themselves threatened by a new toxic landfill planned for a site just two miles away. 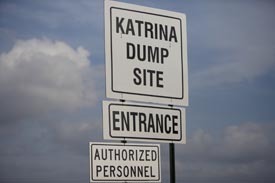 Although the residents were more than halfway through a redevelopment plan that included senior housing, a cultural center and a community farm and market, New Orleans mayor Ray Nagin still made the decision to open the Chef Menteur landfill, with a plan to dump toxic debris from Katrina directly adjacent to the community. Forced to flee Vietnam by the war more than three decades ago, many residents felt a sense of deja-vu as their homes were once again in peril of being taken away from them. So they fought back--with protests, public hearings, and legal battles at both the state and federal level. A Village Called Versailles has received awards at numerous film festivals--including the New Orleans, LA Asian Pacific, and San Francisco International Asian American Film Festival. Last spring, Chiang taught a graduate seminar in documentary project planning for the Social Documentation MFA program at UC Santa Cruz. He also guided students in production work and shooting their thesis projects in film and photography. This fall, Chiang will teach a graduate seminar at UCSC on documentary editing and post-production, along with a documentary masters class in video directing and producing.